Swapna Barman became the first Indian heptathlete to win an Asian Games gold. Jalpaiguri town in North Bengal is ecstatic over its resident Swapna Barman, daughter of a van rickshaw puller, becoming the first Indian woman to achieve a top podium finish in the gruelling heptathlon event at the Asian Games. 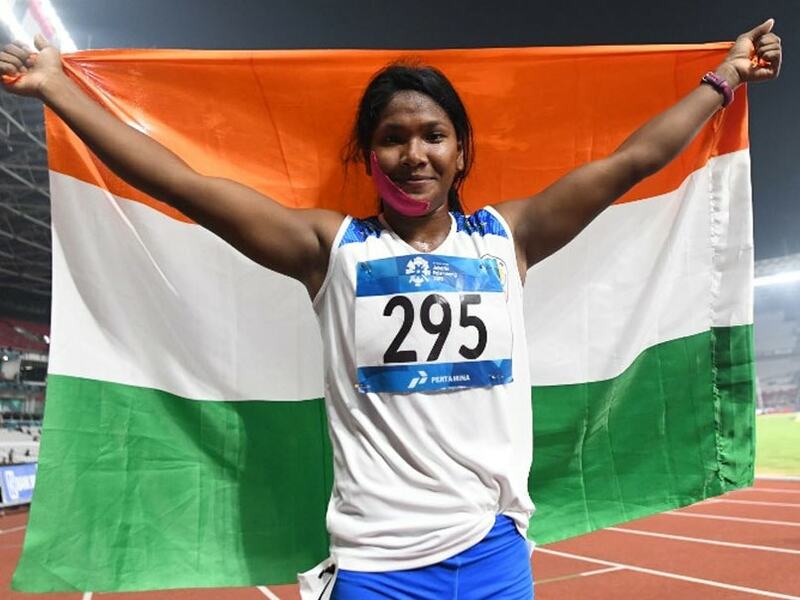 Soon after Swapna scripted history by clinching the gold medal at the 18th edition of the continental meet in Jakarta, people rushed outdoor, sweets were distributed, and many thronged her non-descript residence at Ghoshpara. Her mother Basana could barely speak after getting the good news. Praying since afternoon for the success of her daughter, an animated Basona had stayed away from all the action, locking herself in the Kali temple built for her by Swapna Barman. "I did not watch her perform. I was praying since 2 in the afternoon. This temple is made by her only for me. I believe in Goddess Kali a lot. When I got the news, I could not control my emotions," Basona told IANS from Jalpaiguri. Swapna's father, Panchanan Barman was a van rickshaw puller but has been bedridden for the last few years due to his old age. "It was not easy for her. We could not meet her expectations all the time. She would never complain," added Basona. She found it difficult to meet the expenses of her equipment, said childhood coach Sukanta Sinha. 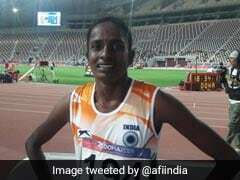 Swapna had finished fifth with a total of 5,178 points on debut at the Asian Games four years ago in Incheon as a teenager. The heptathlon is a seven-event contest which covers a range of track and field events and is spread over two days. The first day comprises 100m hurdles, high jump, shot put and 200m, while day two has long jump, javelin and 800m.